Schoellhorn-Albrecht, a St. Louis, Mo.-based manufacturer of marine deck equipment, has recently acquired Jones & Lockhart Welding Company. Brian Pavlisin, president of Schoellhorn-Albrecht, said the new facility is a perfect fit, because it creates synergies by combining Schoellhorn-Albrecht’s engineering expertise with Jones & Lockhart’s 70 years of fabrication experience. “The additional facility allows us to better serve our marine customers by offering greater manufacturing capacity, while increasing our capability of handling large, complex fabrications,” he said. Established in 1946, Jones & Lockhart is one of St. Louis’ largest full-service fabrication companies that services a variety of industries. The new 51,000-square-foot facility has a crane with lifting capacity of 50,000 pounds at a crane-hook height of 24 feet. Along with heavy steel and aluminum fabrication, Schoellhorn-Albrecht also offers in-house stress relieving in its computer-controlled oven. The oven, according to Pavlisin, is one of the largest in the area at 15 feet long by 25 feet wide and 8 feet high. Steve Jones will serve as president of Jones & Lockhart Fabrication LLC, and Brian Pavlisin will continue as president of Schoellhorn-Albrecht. 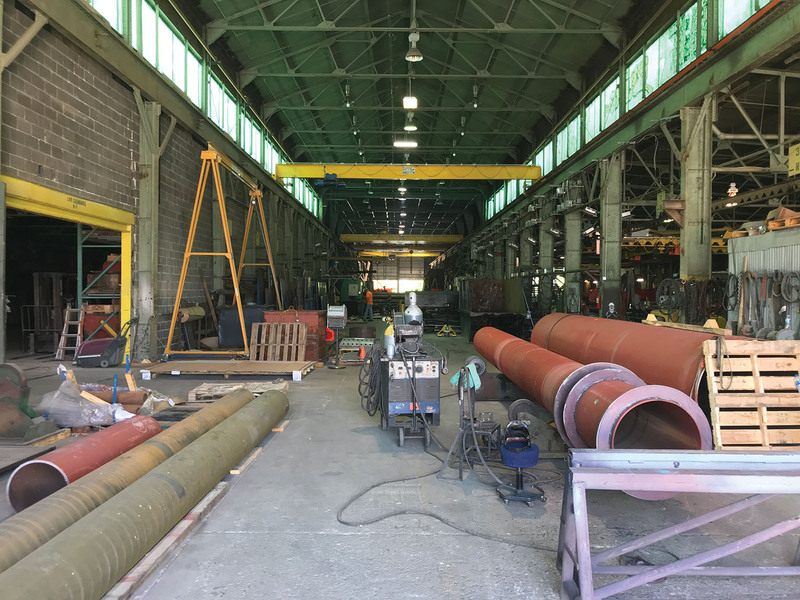 Jones & Lockhart Fabrication will be a new division of Schoellhorn-Albrecht.